Gerard Tobias obtained the degree in Chemistry (with Honours) from the Autonomous University of Barcelona (2000), Master in Materials Science and Ph.D. with European mention (UAB, 2004). He was a research visitor at Ames Laboratory (United States) and at the Electron Microscopy for Materials Science center (EMAT, Belgium). 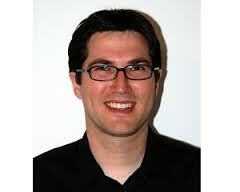 Between 2004-2009 he was a postdoctoral Fellow at the Inorganic Chemistry Laboratory, University of Oxford (UK). Since 2009 he leads research on "Nanoengineering of Carbon and Inorganic Materials" at the Materials Science Institute of Barcelona (ICMAB-CSIC). Dr. Tobias has been a member of the European COST Action TD1004 on "Theragnostics Imaging and Therapy”, has coordinated the FP7 European project RADDEL involving 11 groups (2012- 2016) "Nanocapsules for Targeted Delivery of Radioactivity " and has been recently granted an ERC Consolidator Grant (NEST, 725743). In this talk we will review some recent progress on the design and nanoengineering of inorganic and carbon nanomaterials for tailored applications. Special emphasis is paid in the group to exploit the synergies of both types of materials by the preparation of nanohybrids with novel or enhanced properties. We will mainly focus on the development of nanomaterials for application in the biomedical field, but we will also highlight work performed in other areas such as the isolation and template assisted-growth of rolled-up single-layered 2D materials. Among the different types of carbon nanomaterials, one advantage of using nanotubes is that their inner cavity can be filled with a chosen payload whilst the outer surface can be modified with biomolecules to improve their dispersibility, biocompatibility and even for targeting purposes. For instance, following this approach we have shown that by filling radioactive isotopes it is possible to achieve ultrasensitive imaging and the delivery of an unprecedented amount of radiodose density. The presence of selected heavy elements allows even mapping of subcellular organelles via X-ray fluorescence imaging. Furthermore, functionalization of the external walls of these filled carbon nanotubes (CNTs) with monoclonal antibodies allows targeting the epidermal growth factor receptor (EGFR), over expressed by several cancer cells. We have also recently developed CNTs for dual imaging by radio-labelling iron oxide decorating the external surface of CNTs. The resulting hybrids allow single photon emission computed tomography (SPECT) and magnetic resonance imaging (MRI). Worth noting is the enhancement of the MRI signal by modification of the nanocarrier (non-MRI active) rather than the magnetic nanoparticles themselves. The formation of such hybrid systems is not limited to the biomedical field. A large deal of attention is being devoted towards the isolation and growth of single layers of a wide variety of inorganic materials which is of interest for both fundamental research and advanced applications. When an individual layer is seamlessly wrapped into a cylinder, the resulting single-layered nanotube combines the characteristics of both two-dimensional (2D) and one-dimensional (1D) materials. Yet, despite their interest, reports on singlewalled inorganic nanotubes are scarce because their multiwalled counterparts are generally favored during growth. We have reported on a versatile approach that allows the formation of high quality, single-crystalline single-layered inorganic nanotubes.